If you suffer from itchy, dry eyelids and are ready to get rid of them, you are not alone. This can cause a serious concern during your day, and it can be quite frustrating to deal with. 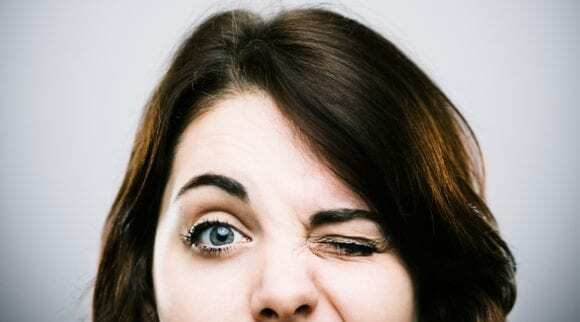 Itchy, dry eyelids aren’t something you should be embarrassed about, and there are ways to help. Plenty of people suffer from itchy, dry eyelids, and there are a lot of reasons why this could be happening to you. Maybe you’ve tried a lot of different treatment options. If you have, you might want to try a more natural treatment route. There are a lot of great solutions to getting better so you don’t have to deal with those flaky eyelids ever again. 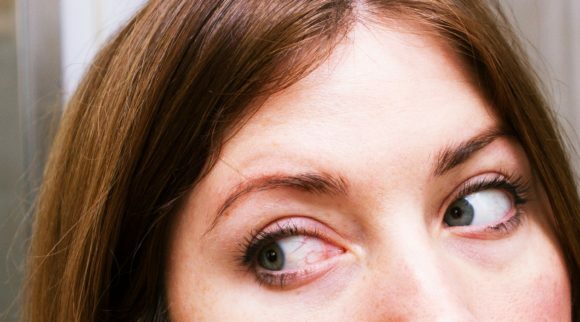 In most cases, itchy, dry eyelids don’t usually happen overnight. There are a lot of different symptoms. The biggest thing you will notice is that your eyes start to itch. It could be that they are dry; it could be that they are watering too much. But this itch isn’t usually something that causes any concern. However, as the itch continues, so do your symptoms. What started out as a harmless little itch then turns into chronically itchy, dry eyelids. This is so frustrating because you will want to itch your eyes all day long. Not only that, but your eyelids then get flaky and dry. This interferes with your vision or your makeup, and it’s uncomfortable. It’s not pleasant! The eyelid itself gets pretty red and inflamed, so it’s hard to mask it. It ends up being fairly noticeable, which is something that no one wants to deal with. And throughout all of this, it still itches. The dry skin gets rubbed raw because of how itchy it is, and then you may notice some crust around the eyelid because of the itching. It can be an awful cycle. Who Suffers from Itchy, Dry Eyelids? Anyone and everyone can suffer from itchy, dry eyelids. This is not something that only affects certain people. However, there are some people who may be more at risk for developing itchy, dry eyelids. 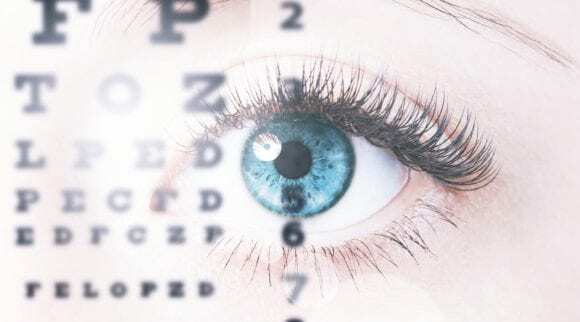 These are individuals who have dealt with eye issues in the past, those who may be dealing with seasonal allergies, or those who have tried out a new skin routine. Despite all of that, anyone can get itchy, dry eyelids. 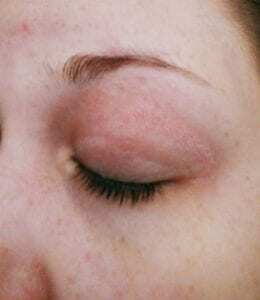 This is usually something that happens in adulthood, but there have been children and young adults who have suffered with itchy, dry eyelids. If you’re embarrassed, don’t be. There are millions of people who suffer each year with this! If you have experienced any of the above possible causes, this could be the underlying cause for your dry eye. 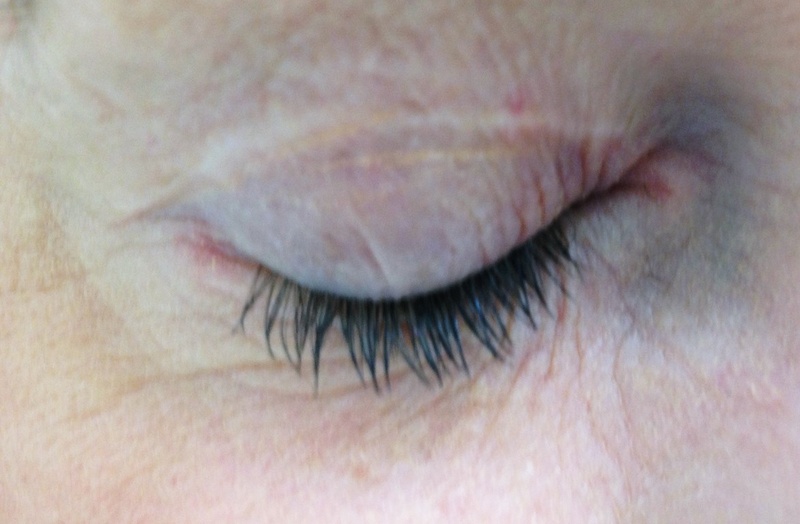 Using a natural treatment method could prevent the itchy, dry eyelids from continuing. Are There any Treatment Methods? The good news is that there are treatment methods out there. You don’t have to suffer with dry eyelids forever. 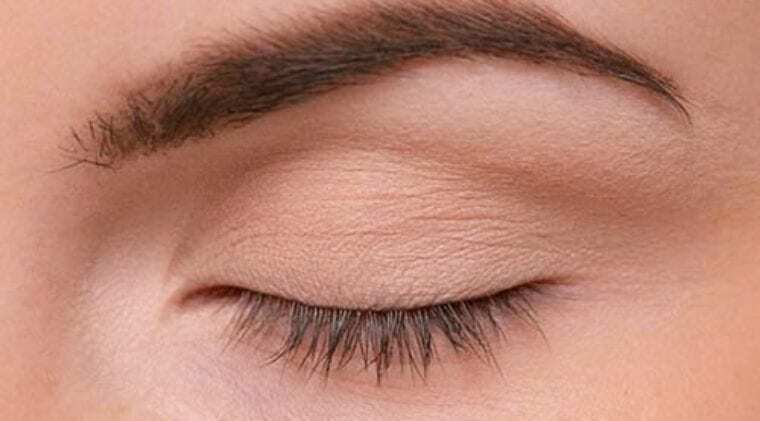 It may take some time for the treatment to work because the eyelids are so delicate, and you should always make sure the product is safe to use around eyes. You don’t want to use lotion that you would use on the rest of your body because of how fragile the eyes are. The treatment methods out there are often natural based, which is great. They are meant to moisturize and treat the underlying issue of dry eyelids. When you are looking for a natural treatment method, look at the brand. You want to go with a highly reputable brand that has made eyelid moisturizers for quite some time. Because of how delicate the eyelids are, you should always be careful with what you are buying. 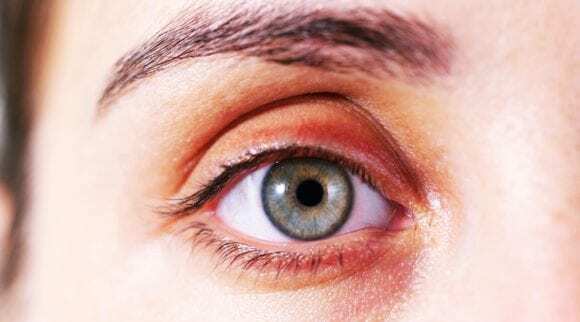 Who Should Treat Itchy, Dry Eyelids? 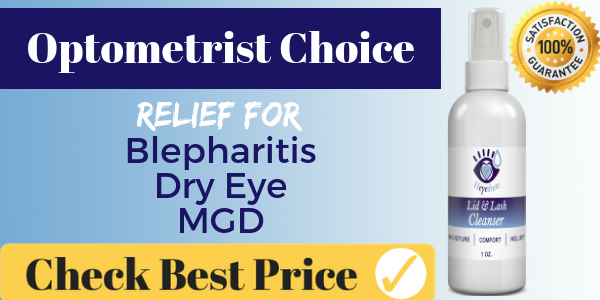 Anyone who has itchy, dry eyelids should treat them. They are bothersome and can cause a load of cosmetic issues. Whether you are just fed up with the flaky skin, sick of the pain, or want your eyes to look better again, you are not alone. The treatment for itchy, dry eyelids is not invasive, and most of the options can be applied at night and forgotten about until you wake up in the morning! There’s nothing that should deter you from trying out the treatment methods that we have found for you. 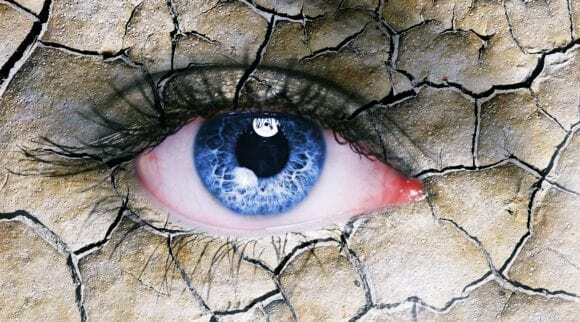 You could search for hours and do a lot of research trying to find the best brands, or you can check out the best brands below for a natural treatment for itchy, dry eyelids. Once you find a treatment that works for you, you’ll never look back! There’s nothing worse than dealing with the flakiness of itchy, dry eyelids. What most people don’t realize is that this can be caused by bacteria. A cleanser is the best way to get rid of this, and it can actually help to get rid of the flaky and itchy skin for good. While a cleanser might not sound like it would be moisturizing, this one is designed to clean the area and keep it moisturized for those with dry skin. It’s a great way to keep your eyes clean, and it can help to prevent future infection from happening. This cleanser kills microorganisms, which are often the cause of itchy, dry eyelids. It also helps to soothe the inflammation that is often present with eye infections and itchy eyelids. The cleanser is designed to prevent biofilm formation, which is something that many cleansers do not do. The ingredients are top notch, and this brand is known for creating amazing eye essentials. The reviews are great, and you can really trust ordering this. There’s also a 100% satisfaction guarantee. This is a cleanser, so it is a lot easier to use than a cream or lotion. You have to clean your face anyway, so this cleanser isn’t hard to add into your daily routine. It comes in a spray bottle, which makes for easy application. The cleanser isn’t thick, but it feels nice and soothing when it is sprayed onto the lid of the eye. It’s 100% organic and vegan, which is often hard to come by nowadays. It’s nice because you can feel good about putting it near your eyes since it has gone through a lot of testing. This is a cleanser, not a cream or lotion. For some this may not be an issue. But for others, you may be looking for a more intensely moisturizing serum or cream. It’s not bad, but it isn’t quite as moisturizing as a cream would be. We recommend this product for those who are dealing with itchy, dry eyelids and aren’t entirely sure what the reason behind them is. This is a cleanser that is easy to add into your routine, and everyone should be using it. The price is great and the brand is very well known. With a 100% satisfaction guarantee, you really can’t go wrong. The worst part about itchy, dry eyelids is that they come with a host of other issues. One of these issues is that your skin is flaky around the eye, often getting inside your eye. This is annoying throughout the day, and it makes applying makeup really hard if you wear it. You don’t want to exfoliate the area because it can lead to worsening the itchy and dry eyelid. It can be hard to know what to do when this happens. Thankfully, there is a product to help gently exfoliate the dry skin away and leave the lid moistened and clean. These lid scrub pads are the perfect way to get rid of the itchy skin and keep your eyelid moisturized. This is a cleanser and is not meant to be washed off. You can use this on your eye and then keep it there to moisturize. These pads couldn’t be easier to use. All you have to do is unfold and wrap one around your finger. Then, you gently scrub your eyelid. This will gently exfoliate the lid to get rid of the dry skin and any other issue that you might have. The pads are made with a specially formulated moisturizer that can be kept on the eyes overnight without causing any issues. The pads make the application easy, and the ability to exfoliate is a great way to go. The pad application is really nice when compared to other brands. This is a top recommended brand, and they have been making eye products for years. You can definitely trust that this brand will do everything right and keep your eyes safe. It is made especially for those who are dealing with ocular issues. The pads are a little big for one eye, and they can make you feel like you are wasting a lot of the product because of this. There is a lot of product on one wipe and to keep it all from getting contaminated, you should only use one wipe per eye. For those who want an easy application, this is the best way to go. It is so easy to use, and it helps to exfoliate the dead skin away. This is especially good for those who are having a bad itch problem. The wipes are easy to take with you, so we recommend this product for anyone who is on the go. If you want to have a product that is recommended by thousands, you cannot go wrong with this one. It really does work. When you have extremely itchy and red eyelids, there isn’t much you can do with a cleanser. Sometimes you need something that is extra strength, and this eye cream is the one for you. It is marketed for men, but it can be used by anyone. This cream is made with the best ingredients you will find, and the moisturizing power sure is strong. You don’t have to worry about dry eyelids anymore because this will take them away for good. This is a brand that makes many grooming products, and their eye products are especially revered. They are easy to use and made with high-quality ingredients. This helps to solve a host of issues, so no matter what you are struggling with, this can help. And unlike other eye creams, this does not leave behind a greasy residue, which is the worst! If you are looking for an eye cream to do it all, this is the one for you. If you have itchy, dry eyelids, your problems may not stop there. You could also have dark circles, wrinkles, or just tired looking eyes. As we age, this is something that most of us have to deal with. Thankfully, this product is going to help take all of it away. It is made with protein peptides, MSM, and hyaluronic acid. These ingredients combine to take the edge off your eyes. You won’t have to deal with tired looking eyes, and it also helps to reduce the inflammation that is often present with itchy, dry eyes. With organic ingredients, this is a product that is made to make a difference for your face. You can use this morning and night, which means double moisturizer. A lot of products can only be used once a day, but this one is going to work quickly with the ability to use it both morning and night. 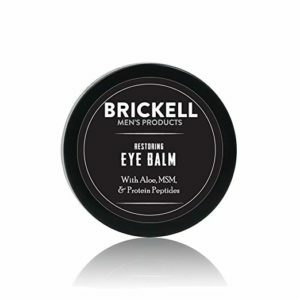 Brickell makes products that are well known and loved. They don’t focus only on eyes, but their eye creams are highly rated. They are a brand that is well known, so you don’t have to worry about authenticity. The ability of this cream to knock out a lot of issues is a definite plus. There are so many things that can go wrong with your eyes, and this cream wants to help it all. The puffiness that happens from having itchy, dry eyes is one of the most annoying side effects, and this cream will take care of it. Unlike a cleanser, this cream is going to moisturize deep within the skin as it gets soaked up. You won’t have to wipe it off or clean it like a cleanser, and it keeps everything moisturized. The only downside to a cream is that it will leave behind a little bit of a residue. While this one does a great job with not being greasy, it still leaves behind a little bit of a residue that will be noticeable if you put it on first thing in the morning. It also makes it difficult to wear any kind of makeup; that’s something you have to consider if you want a heavy duty cream that will take care of the itchy, dry eyelids. We recommend this product for those who want a cream that will do more than one thing. It’s imperative to keep your eyes looking great. They are the windows to the soul. Without a good eye cream, you could end up with a lot of problems down the road. This one will take care of it all, so it’s a great cream to go for. If you have sensitive eyes, the idea of trying anything out on them can be daunting. When dealing with itchy, dry eyelids, the last thing you want to do is make them worse. Those extra-strength creams and cleansers are just begging to mess your eyes up even more. 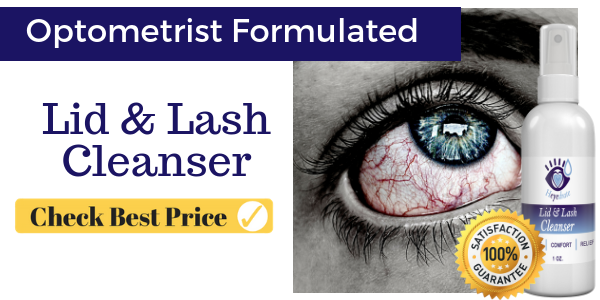 That’s not something you want to do, but this formula was made for those who have sensitive eyes. Since you want to get the itchy, dry eyelids to stop, this formula will help to gently exfoliate the dry skin away and moisturize and cleanse the underneath skin. This is done with the help of some pre-moistened pads. This lid scrub is so easy to use and will keep the relief there for hours upon hours. The great thing about this lid scrub is that is has been around for years. This original formula isn’t as intense as the extra-strength formula, but it is still going to soothe those dry eyes. There’s nothing to fear when using this because it is a cleanser that soothes the eyes. While it does clean away microorganisms and help take away eye infections, it also helps with allergies and inflammation that is caused by dry eyelids. It also helps to remove makeup, another added bonus for those who are looking for a one-step night routine. There is no alcohol, fragrances, or dyes, so you don’t need to worry about your sensitive eyes getting more issues! This pre-moistened pad is easy to use and can be taken with you wherever you go. This is a one-step nightly routine. You can use it to remove dirt and oil and take off your makeup. It is a cleanser, but it is a very moisturizing one. It definitely takes away all the dirt that you have, but it also leaves behind a nice feeling that will make your eyelids stop itching. The moisturizers are made without heavy oils, so they are not going to clog your eyelash pores and lead to styes. The pads are soothing and made without alcohol, so there isn’t any burning. The pads are a bit big. This can be an issue because you don’t want to use more than one eye on each pad. This is because you could have an infection that then transfers to the other eye. Since the pads are big, some may feel there is a waste of product on the pad. Also, this product does need to be washed off after use and cannot simply dry on your eyelids like the other cleansers above. 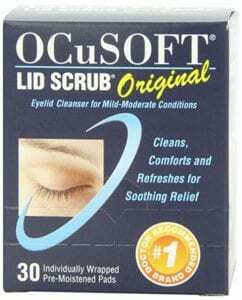 Overall, this is a great eyelid scrub. We recommend this to anyone who is searching for an easy nighttime routine that will help with itchy eyelids. Those who don’t want something thick on their eyes will love how thin this cleanser feels. It really is very soothing for the eyes. Your eyes are all natural, and so should all your solutions be! There are so many products out there that will help your eyes but are made with harmful ingredients. If you want to make sure only organic and natural products touch your eyes and face, this is the product for you. It is designed to moisturize all dry skin, so it works especially well for itchy, dry eyelids. It is made with beeswax and pollen, and it also has raw honey in it. This is a great way to try a natural treatment method that is not tested on animals. It can be used all over your face, so it isn’t specifically for your eyes. This makes your routine even easier because you can use it as your nightly cream. There are no oils or greasy ingredients, so this glides on and feels refreshing. Thousands of people recommend this organic formula. This is all natural and certified organic, so you know that the ingredients are not going to hurt you. 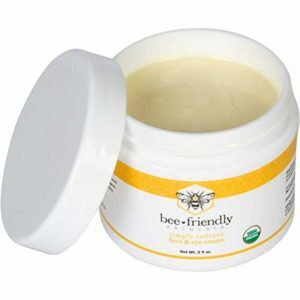 Honey is a natural antibiotic, and this is formulated with honey and pollen to help soothe the dryness of your skin. The beeswax makes the formula glide on and seals the moisture in. It also makes sure that there is nothing from the outside reaching beyond the wax, so it can help with allergies too! With essential oils and vitamin E, it uses nature’s medicine to get it right. This is all natural, and it smells great. Since it is made without oils and fragrances, you can use it on your eyes without worrying about clogged pores leading to a stye. This is a great way to rely on natural treatment methods and simplify your beauty routine. Over time this will even help with wrinkles, so you can’t ask for anything more! This is not vegan since it is made with beeswax and honey. If this is something that is important to you, you’d be better off with a different cream or cleanser. Anyone looking for a cream that will moisturize their eyes should buy this product. Since it is natural and organic, you can rely on it being good for your skin. When you use an eye cream, it is extremely hard to get in all the lash crevices and get all the dead skin off your eyes. And cleansers can be a bit rough on your skin, leading to a whole other variety of problems. But with these eyelid wipes, you can kiss itchy, dry eyelids goodbye. The wipes are a great way to get every spot of your eye, and they gently exfoliate to get rid of any dead skin that may be lingering. 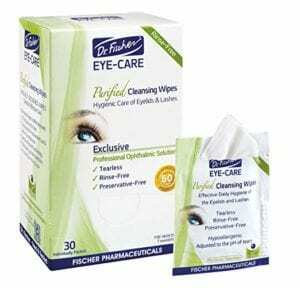 They are hypoallergenic, making them perfect for those who deal with sensitive eyes. The wipes are really easy to use. 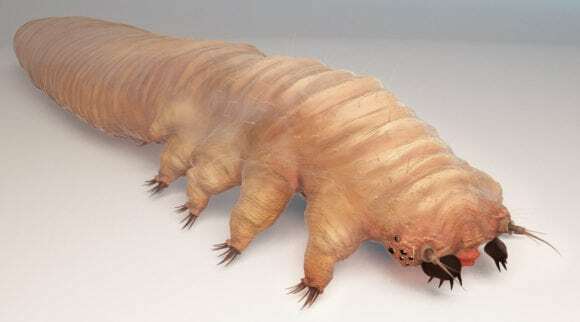 They are big and can wipe both eyes without spreading infection. They are premium wipes and are really soft to the touch. This is important because our eyes are so fragile! This can help with itchy, dry eyelids, conjunctivitis, and other issues like sties. This brand is one that makes a lot of pharmaceutical products, so you know that you will not have issues with your eyes after using it. The wipes are really soft, and the formula has been around for years. There aren’t many issues reported, and they can help soothe your eyes from a lot of different issues. The moisturizer the wipes leave behind is thin but really helps. The skin is vulnerable after being exfoliated, and these wipes help to keep the skin from getting too raw. These wipes are pre-moistened, but they can dry out after a while if you are not careful with how you store them. 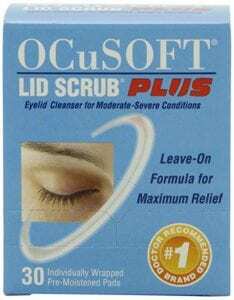 For those who have more than just itchy, dry eyelids, we recommend this product. They can help with a lot of different issues, and they are really easy to use. If you deal with itchy eyes and want something natural, you need to be careful. It needs to be something that is safe to be near the fragile skin of your eyes. 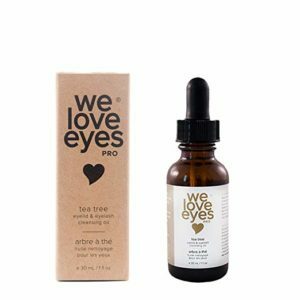 This eye cleansing oil made by We Love Eyes was designed to help cleanse and moisturize the eyelid that is causing you issues. There aren’t any chemicals in the formula, so you don’t have to worry about irritation. Plus, it can do more than just cleanse the skin. It can take off makeup, dirt, and other debris that may be lingering. Whether you have dry eyes or you have some type of allergy or infection, this cleansing oil can help. Tea tree oil is known for its healing properties, and this cleansing oil is no different. It works extremely well and is sulfate and paraben free. You don’t need to worry about your eyes getting clogged up because of this. It’s all natural and vegan, and it was made by an optometrist. There aren’t any ingredients that will interfere with the delicate skin near your eye. It is gentle and natural, so it may take a bit longer to see results, but you also know that your eyes won’t be damaged in the process! The application for this cleansing oil is really easy. It is made in a dropper bottle, and you can put a drop on your eye and start gently scrubbing and massaging. It doesn’t take a lot to get it done. The formula is made with natural ingredients, but some people are allergic to tea tree oil. If you are unsure how you react, it may be best to try out a different formula first to see. For those who want an all-natural product that is also vegan, we recommend this one. While it is not a soap cleanser and not a cream, it lies somewhere in the middle. It isn’t going to dry out your eyes, and it won’t leave them greasy or overly moisturized either. The best product for you is the one that works with your skin and eyes. Don’t be afraid to try a few of the ones we recommend until you find the one that works best for your itchy, dry eyelids.